Let David Urquhart Travel take care of your Group Holidays! We have been organising Outstanding Value for money holidays for over thirty-six years and during that time have carried over four million holidaymakers. As ever, we have savings available for group bookings when you all travel together on the same date on a tour from the Holidays 2019 brochure. Book during January 2019 and receive £500 off!! Subject to terms and conditions. Free places apply to the basic holiday cost only. Supplements and holiday insurance premium as appropriate are charged in full for all persons booked. 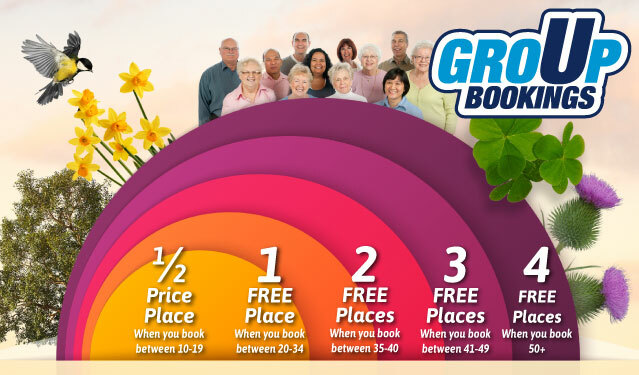 Group booking discounts cannot be used in conjunction with any other special offer. 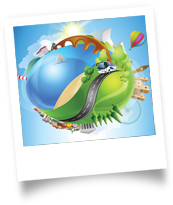 Our committed, experienced staff know all there is to know about the organisation and planning of your holiday. We tailor make all our group itineraries and are extremely flexible in our approach to make your holiday work for you – as well as offering free place incentives to make life that little bit easier. We have just returned from our tour and had a fantastic time – hotel was first class and food excellent.